Excerpt from an article published in The Irish Times. "Nama Asset Residential Property Services Ltd was incorporated last month to acquire vacant properties from Nama debtors for use by local authorities and housing associations. social housing groups and the construction industry. The new company will take possession of debtor properties. This will allow the debtor to reduce what it owes on its Nama loan. The company will then lease the property directly to the local authority or housing association." Excerpt from an article published on thejournal.ie. "..just 58 homes [have] so far officially signed up. A further 701 homes which were initially proposed to be used for social housing have been deemed �unsuitable� by housing authorities. housing around the country. ...more than 2,000 housing units under the aegis of the National Asset Management Agency were examined to determine whether they were suitable to be used for social housing. However of these, 372 were withdrawn after circumstances changed, with most of these properties sold on the open market. Of the 701 deemed suitable, housing authorities found problems with location and the type of accommodation. Of the 1,200 properties that were left, contracts have been signed for just 58 of them to be used for social housing. More than 700 are still being appraised, while 405 are at �various stages� of the approval process. 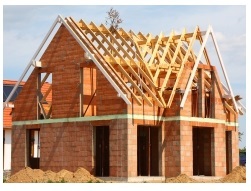 NAMA has prepared a list of over 2,000 properties to be made available as social housing. Although NAMA is, in theory, not obliged to seek Government approval before going ahead with any of its policies, it is difficult to imagine that the political and economic consequences of any plans will not be taken into account by NAMA management. NAMA has decided to make these properties available for social housing after a protracted period of discussion with government ministers. 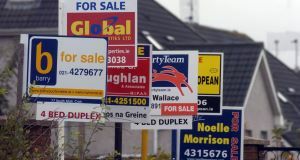 Local authorities will be given the option of leasing the properties from the receivers appointed by NAMA or directly from the property owners. 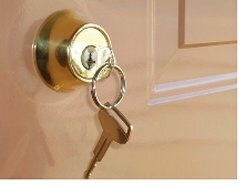 Another option is for approved local housing associations to secure houses and apartments by purchasing or long term leasing. The initial batch of housing units are due to become available during the summer of 2012 and NAMA should release exact addresses etc. over the coming months. This summary is based on a recent article in the Irish Times newspaper.